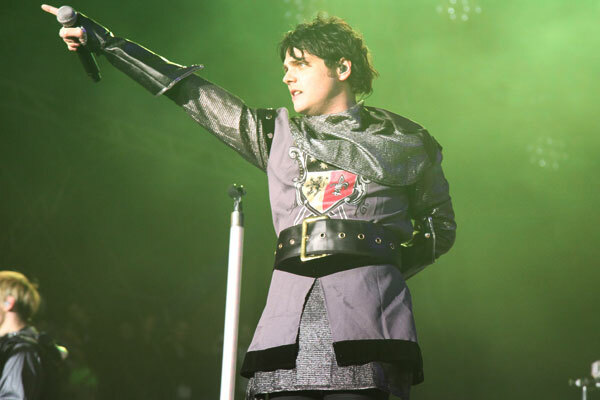 My Chemical Romances appearance at this years Voodoo Festival saw the band dressed in Medieval style costumes. 14 pictures from the show have been added to the gallery. Check out the clip below where the guys talk about this years festival, costumes and Halloween plans. For more Voodoo Festival coverage check out a selection of photos at MusicPix.net and some of the amateur videos on YouTube. This entry was posted in Gallery, Video. Bookmark the permalink.